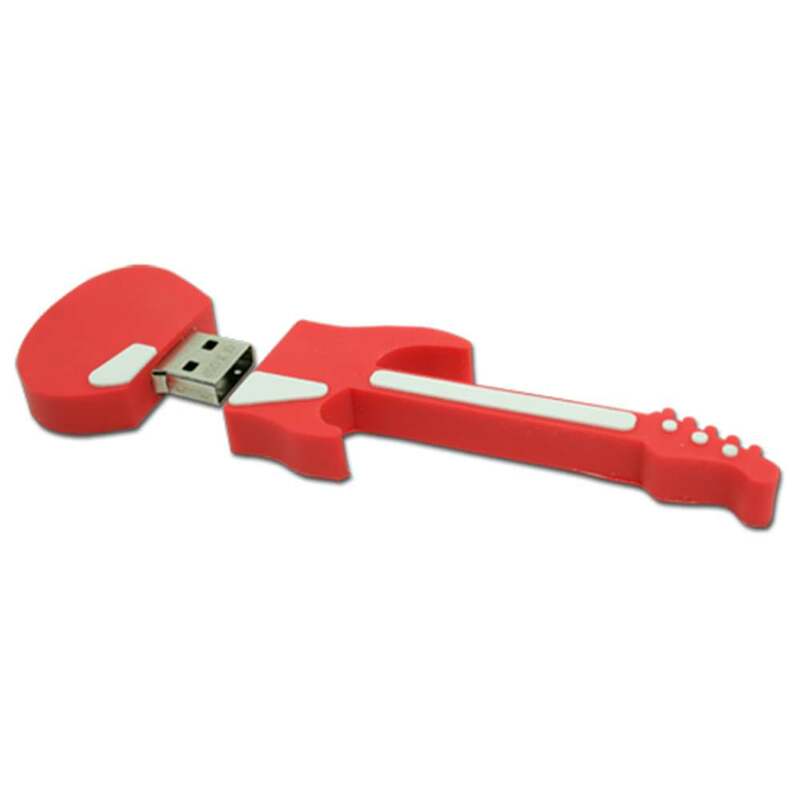 Show everyone how much your business rocks with this custom USB flash drive that is fashioned after an electric guitar. Watch as everyone gets excited about your music themed business or musical band when they see your custom logo on these unique flash drives. 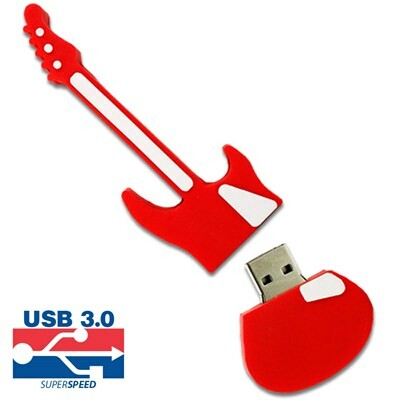 We use silkscreen printing technology to place your logo on the protective cap of each of the custom USB flash drives. A favor no one will want to pass up, potential customers will love the functionality and mobility of these rock guitar shaped USB flash drives. Perfect for promoting your band, you can even have us preload your touring schedule. Currently these custom rockstar drives are only offered in red. 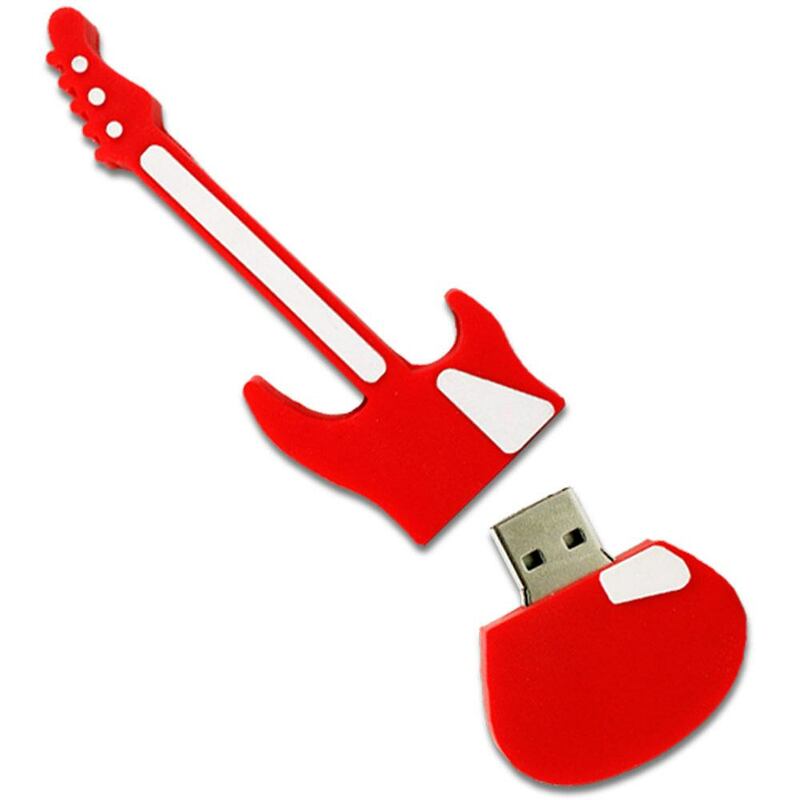 These guitar USB flash drives will be a big hit with any music fan so contact us today for your quote. 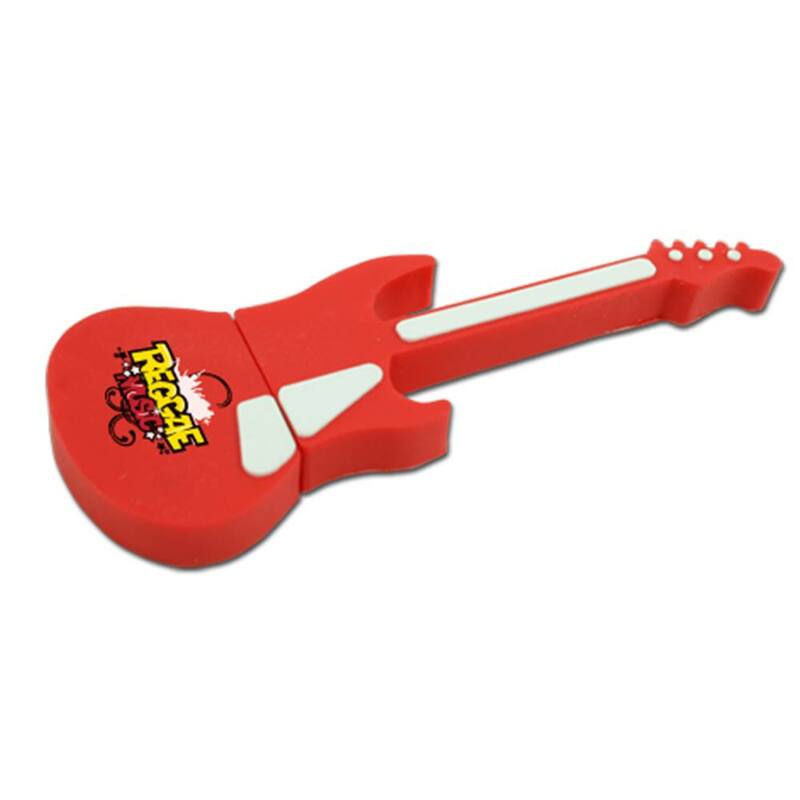 Rock your customer’s worlds with the Rocker Guitar shaped promotional USB drive. 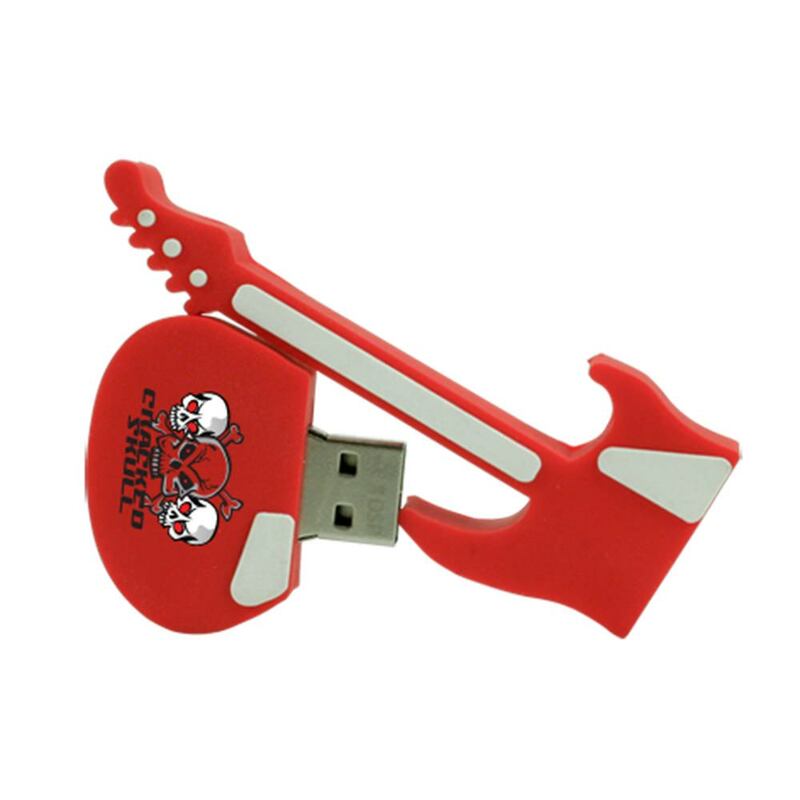 With its iconic shape and fun data storage capabilities, this promotional goodie is a fun giveaway, treat or pseudo-business card to pass out at conventions, sponsored events, and tradeshows. Form and function meet beautifully with the shocking red electric guitar body and hidden USB port. 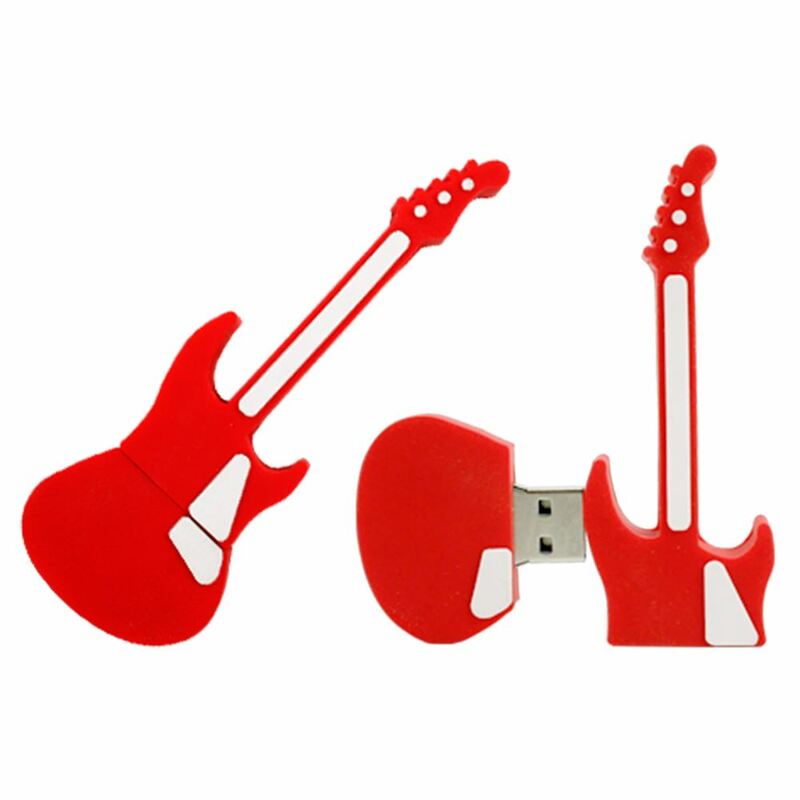 It comes in both USB 2.0 or 3.0 and a wide range of data capacities to make sure you can choose the right one for your target demographic. Your company logo or artwork will look stunning right on the face of the guitar.